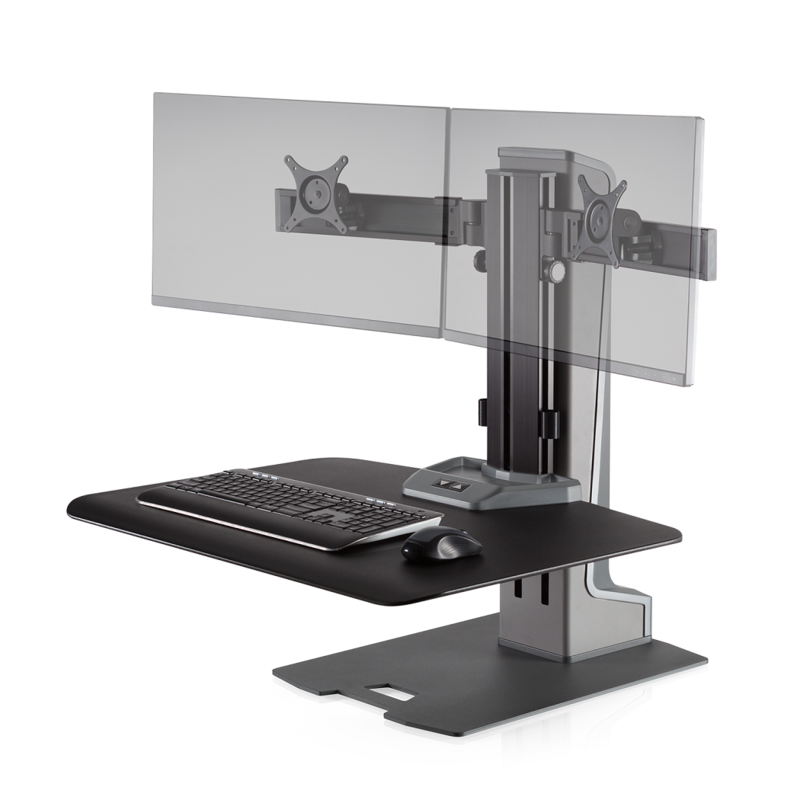 Transform your desk into a healthy sit stand work space with Winston-E. Offers a single monitor mount and 18" of effortless height adjustment. Winston-E is a responsive powered riser that takes the sit-stand conversation to a whole new level. The next-generation retrofit work surface with monitor arms is engineered for ease and freedom of movement. Fully loaded, we’ve thought of every detail for Winston-E so you’re free to think about what’s important to you. Upping the ante with bold style. Robust electronics encased in a sleek design with modern edges and clean lines. Expansive work surface. A large work surface and newly designed storage tray allows you to bring all necessities with you when standding.